To start the download just CLICK the image. The program is easy to use, therefore no manual is needed. 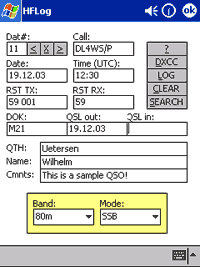 LO-19 CW telemetry can be found in wellknown Amsat publications (e.g. 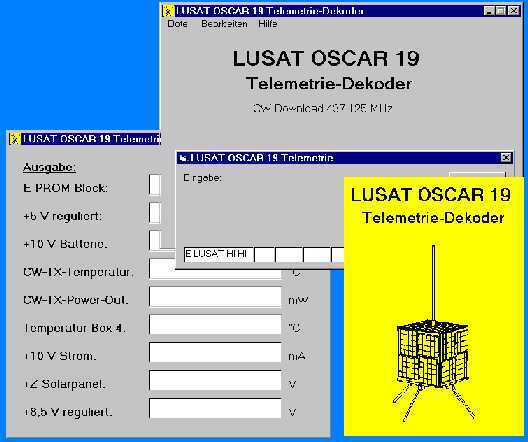 Amsat-Journal). This software is develloped in Visual Basic 6, therefore a dll is needed which can be downloaded at Microsoft. 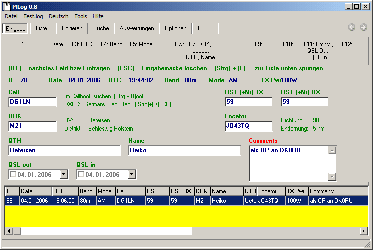 Sita is a small tool for sound card monitoring. The sound card signal will be recorded and the last 10 seconds can be played back. If the receiver is connected to the sound card you can repead the last 10 seconds if you lost some information. This software is develloped in Delphi 6. 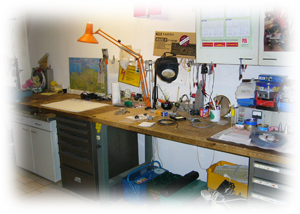 This tool can be used to monitor a receiver which is controlled by "Ham Radio Deluxe". Frequency, time interval and S-meter trigger level can be setup in the menue. If the trigger is reached the tool will play a sound file and a time stamp will be loged. HFLog is a logging software for PocketPCs with Windows CE 3.0, PocketPC2000, PocketPC2002 or PocketPC2003 operating system. This software is develloped in eMbedded Visual Basic 3.0, therefore a runtime library is needed which can be downloaded at Microsoft. MLog is a brilliant hamradio logging software. Written by hams for hams. The software will be currently updated and improved. This software is develloped in Delphi 2005.